Welcome to the hub for ESG insights, news, press and connection. Execution Specialists Group (ESG) is pleased to announce the appointment of Jennifer Levasseur as Executive Director of ESG’s charitable arm — the Making Strategy Happen (MSH) Foundation and Director of Community Investment for ESG. Levasseur has returned to Colorado after more than a decade overseas. She joins ESG from Commonwealth Bank, Australia’s biggest corporation, where she was most recently Executive Manager of Employee Giving and previously Head of Communications and Corporate Responsibility for Staples in Asia Pacific and Latin America. 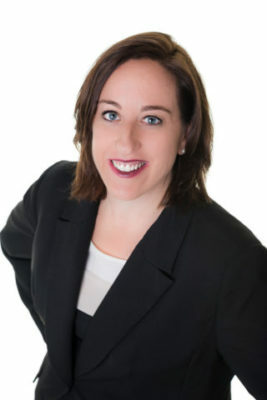 She has also held various roles for Staples in Europe and North America, as well as communications and legislative positions with the Colorado and Denver Bar Associations. “We are excited to have Jennifer join the ESG team. Her appointment comes at a critical time in growing our foundation and her extensive experience and enthusiasm will be key to shaping our community strategy and giving approach,” said Mark Newhall, Founder and CEO of ESG and President of the MSH Foundation. Launched in December 2016, the MSH Foundation was established to positively impact communities nationwide by supporting nonprofit organizations with the donation of time and expertise of ESG employees. This, in turn, empowers those committed to achieving self-sufficiency, intending to give community members in need a hand up instead of a hand out. Based in Denver, Colorado, Execution Specialists Group (ESG) is a strategy execution-focused consultancy with extensive global experience engaging with client senior leadership to plan and deliver on complex integration, transformation, and innovation objectives. ESG relentlessly focuses on delivering meaningful client outcomes and leaving behind a culture of execution. Recognized by Forbes as one of the “Top Management Consulting Firms of 2016,” ESG leaders have managed hundreds of integrations across all functional disciplines including sales, merchandising, supply chain, marketing, real estate, technology, human resources and finance to deliver disciplined program design and execution. Clients include Caesars Entertainment, Gordon Food Service, Office Depot/OfficeMax, Staples, Target Corporation, Whole Foods and more. To learn more about ESG, visit www.esgimpact.com. ESG updates and insights sent straight to your inbox. ©2019 Execution Specialists Group, LLC. All Rights Reserved.